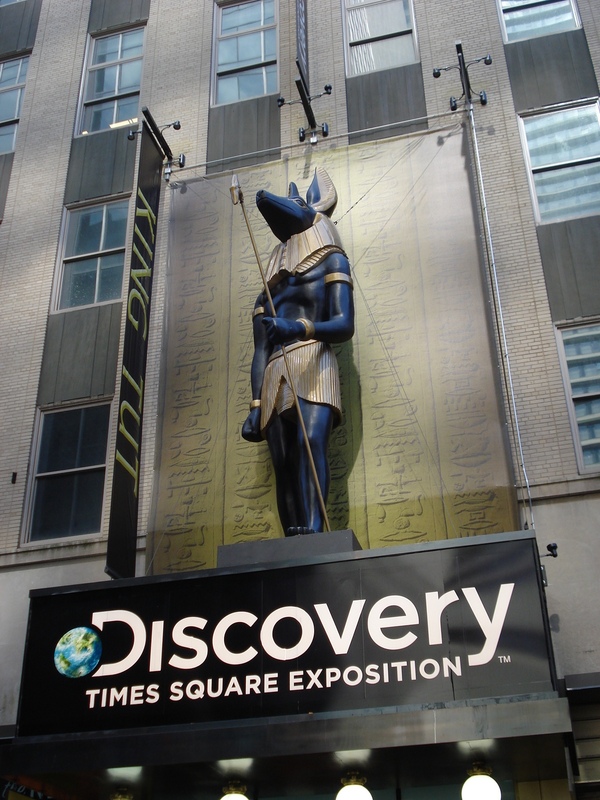 A couple of weeks ago I went here…. I had adventured into these walls to absorb the majesty of this legendary King’s dynasty because the exhibition hall had been set up to present a number of his treasures to the public for the first time in many years. That is a blog story of its own but once the educational journey had completed I found myself exiting through the gift shop. This was by no means an accident and many tourists find that their adventures come to a close in this kind of space by design. Since I didn’t want to take away from the awe found at the exhibit with the silly observations made at the gift shop, I opted to make this a posting of it’s own. Let’s get some gift shopping done now. 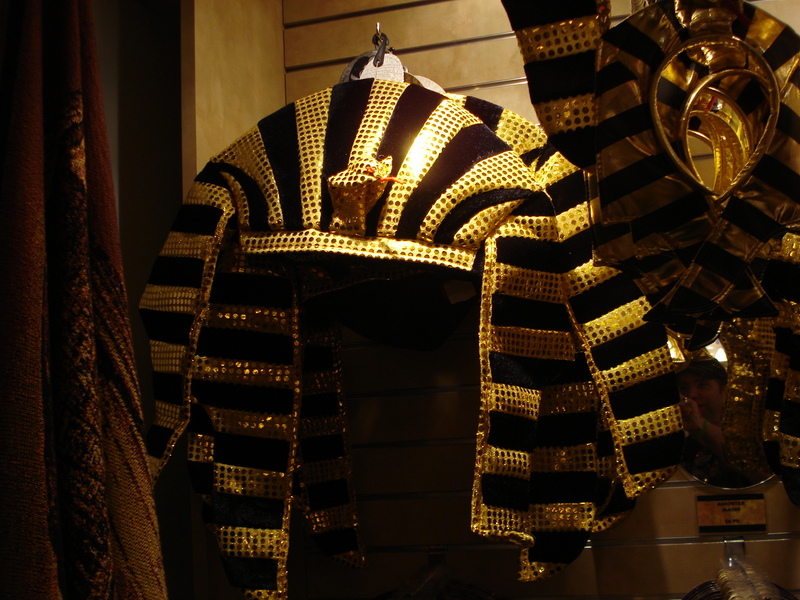 The first thing we found was a replica of the headdress worn by the King and I could not help thinking of the classic Batman show as King Tut’s minions all sported these as they troubled the day of the Caped Crusader. 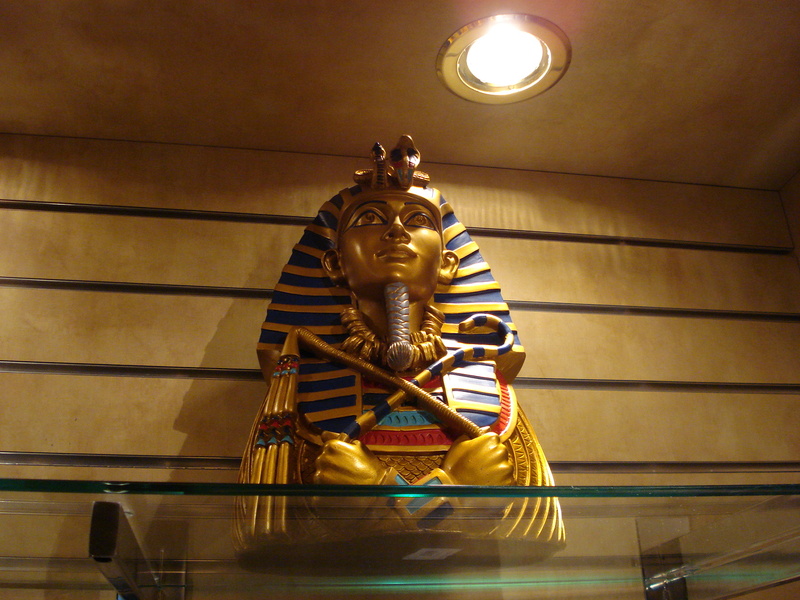 If the need for downing some vodka or Jager shots comes across you, then why not do it in a little bit of royal style with your own King Tut shot glass. 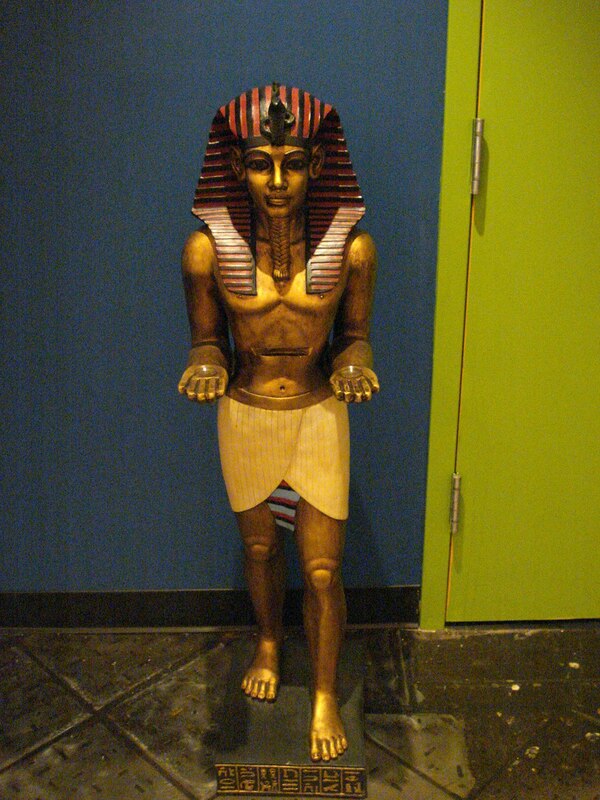 Here is a mini-sarcophagus that you can set nicely on top of your bookcase or mantle. 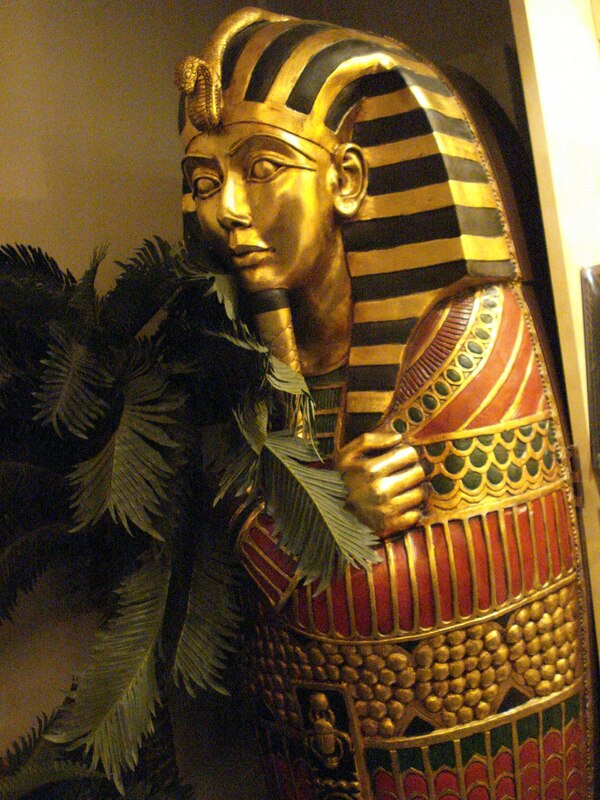 They also had a very large sarcophagus available for sale but I didn’t open it to see what you could store inside. Maybe it had shelves inside of it. That would make an interesting storage space for sure but what to put inside of it? Video games, DVD’s, Shot glasses? Wine bottles? Endless possibilities. I have begun to see these little string figures around more often and one can only assume that eventually there will be ones with KISS markings on them (oooh, now I am excited). 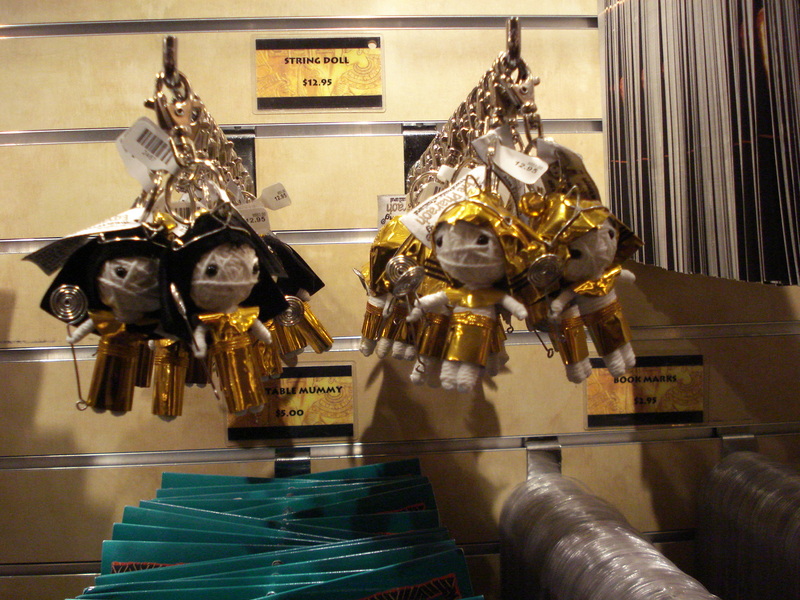 So far these were the trinkets that I enjoyed the most. I was once given a present of one of these figures but it was shaped like a little demon. I guess my Metal fiends are trying to tell me something. Oh well. I couldn’t resist coming up with a clever Horror movie title for the image you see above and felt that running with “The Curse Of The Magnetic Mummy” did the trick. 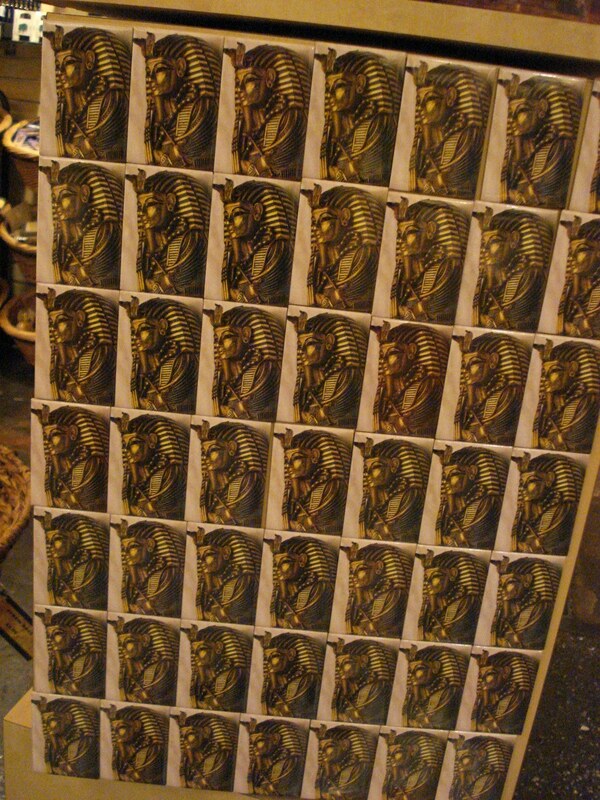 This looked cool but was a little too buky for me to hang on my fridge. I would be afraid of closing the door too quick and causing it to break. These particular style of magnets are much more easier to work with and I am sure that you will agree are the perfect means to hang ones bills or kids drawings on the refrigerator with. 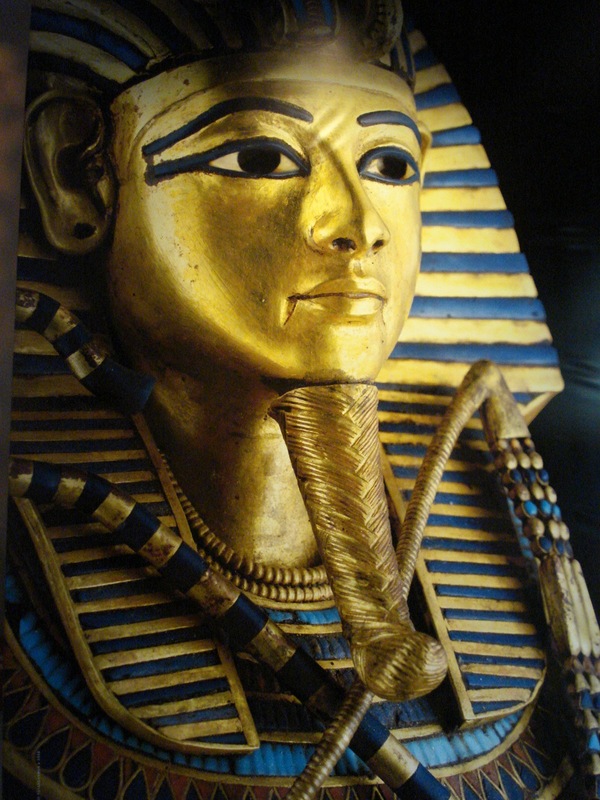 If a bust of the burial mask of the Boy King is something that suits your fancy then they had a nice one for sale. I am very sorry that I didn’t note any prices but rest assured we will eventually find this stuff on Ebay. 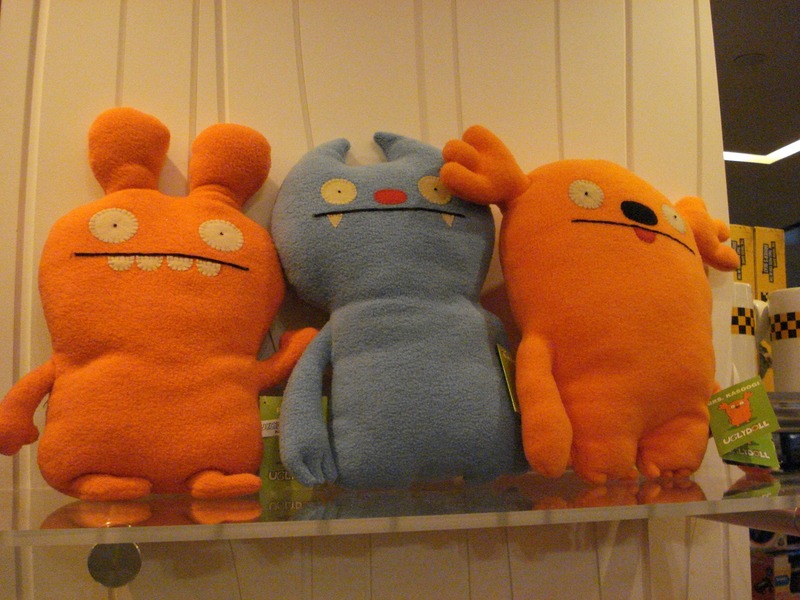 I wasn’t calling these dolls ugly to be curt and you should know that they are actually really referred to as “Ugly Dolls”. I actually like them. 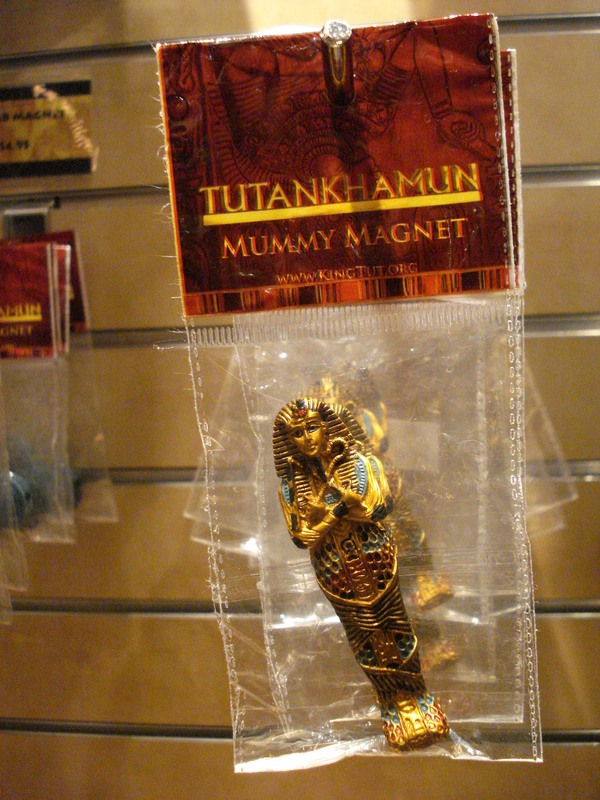 I was surprised to find them sitting amidst all of the Tut merchandise but I guess there are going to be those younger patrons who will not be satisfied with magnets and string figures of the legendary King Tut. As I looked at them I realized how awesome they would be if they were sporting those head dresses we presented to you earlier in the narrative. 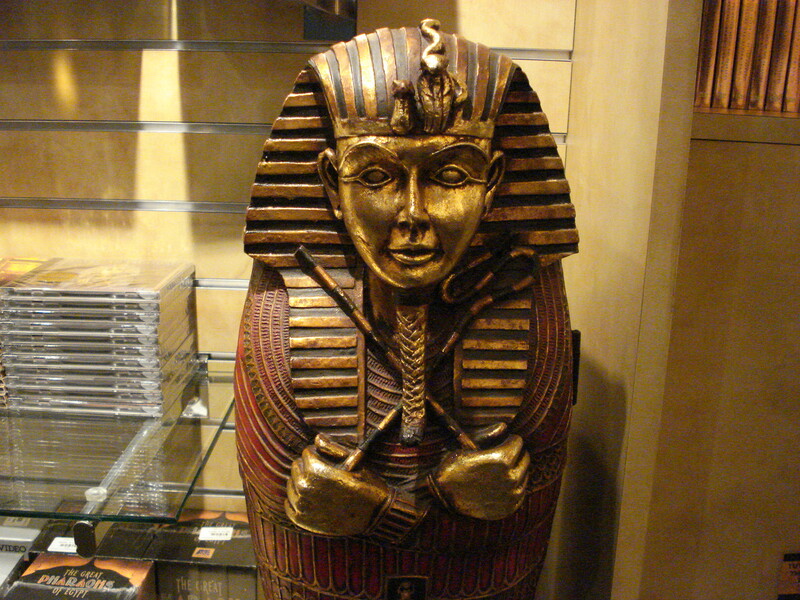 They also had pens and a few books about the treasures on sale but I didn’t take photos of them for you. I apologize. 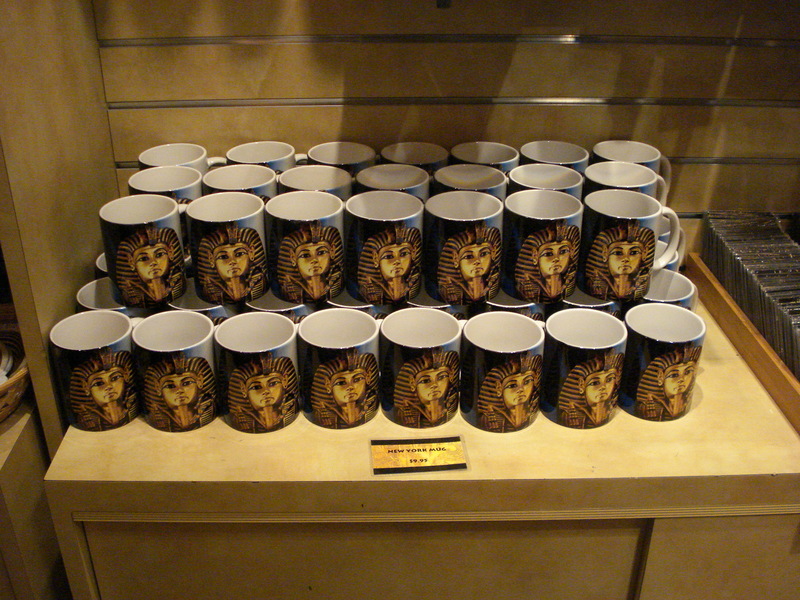 Hope you all enjoyed the musings from the gift shop. I will likely do this kind of stuff again when I attend a museum show of some kind. I went there last year. Was fun. I didn’t remember seeing the Ugly Dolls though.